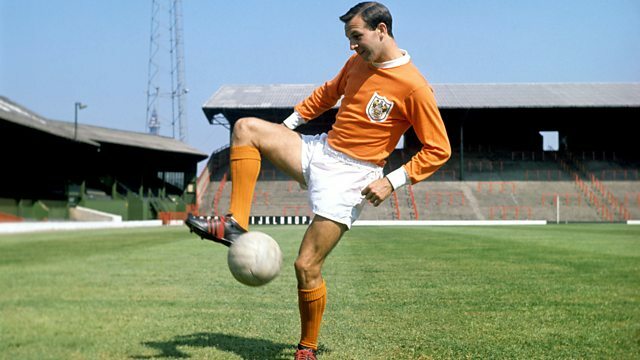 5 live looks back on the life of football's Jimmy Armfield. Hear him reflect on his club career, being part of 1966 England team, journalism and his contribution to today's game. Jimmy Armfield won 43 caps for England including the World Cup winning squad of 1966. He made a club record 568 appearances for Blackpool, managed Bolton Wanderers and Leeds United and became the voice of football for many. 5 live looks back on one of the English game's most iconic figures. We also find out how he reflects on playing alongside legends: Stanley Matthews, Alf Ramsey and Bobby Moore, appointing Terry Venables and Glen Hoddle as England managers, football in 2017 and what he feels is his biggest contribution to the sport.